I came across this beautiful poster art for the classic 1985 film Ghostbusters that I had to share. 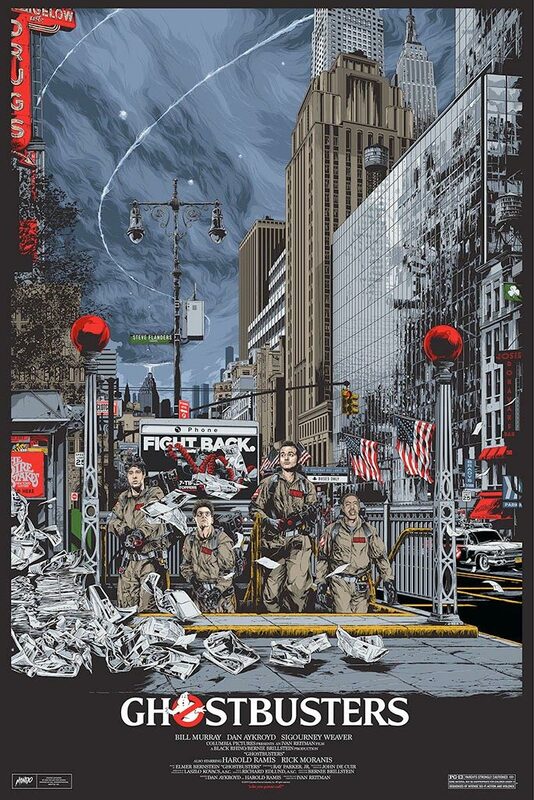 The art was created by artist Ken Taylor, and this might just be one of my favorite Ghostbusters posters that I’ve seen. You can actually currently order a print of this poster from Mondo. The regular edition on the left is a timed release, so Mondo will print as many posters as are ordered over the next 72 hours. The sale will end on February 15th. It’s a 24×36 screen print that will cost you $55 and on the right you can see the limited edition variant of 300 prints which would cost you $75 if there are any left. There are also Stay Puft Marshmallow Man Tiki Mugs on sale and you can see those below the poster art! The prices on those range from $50 to $75.